The knee is the biggest joint of the body. So, experiencing pain after a workout or a sudden twitch of the muscles in the knee can cause you to go about your day in total discomfort. Here are some natural home remedies for knee pain you can try right away. Knee soreness can last a few hours or in certain situations, it can last even a couple days. Are your knees in pain often? Find out why. The pain could be of different intensities, depending on the reason behind it. For example, if it is caused by a resurfacing of an injury that you incurred a long time ago, it would be relatively mild and not as intense as the first experience. For an ache that is caused by an aftereffect of a serious workout, the pain could also be mild. Pain after workout can last a couple of days, then suddenly disappear with no treatment necessary. One of the other major reasons of irritation in the knee area is the lack of minerals like calcium, iron and vitamin D. Vitamin D is very important because it is the mineral responsible for facilitating optimum health in your bones. A key symptom to take note of if you are lacking vitamin D is that you will experience a dull pain in not only your knees, but other joints as well. You can avoid enduring this suffering by introducing foods rich in vitamins and calcium in your diet. This type of treatment should be tried in case you are having an injury due to trauma or because of sports. 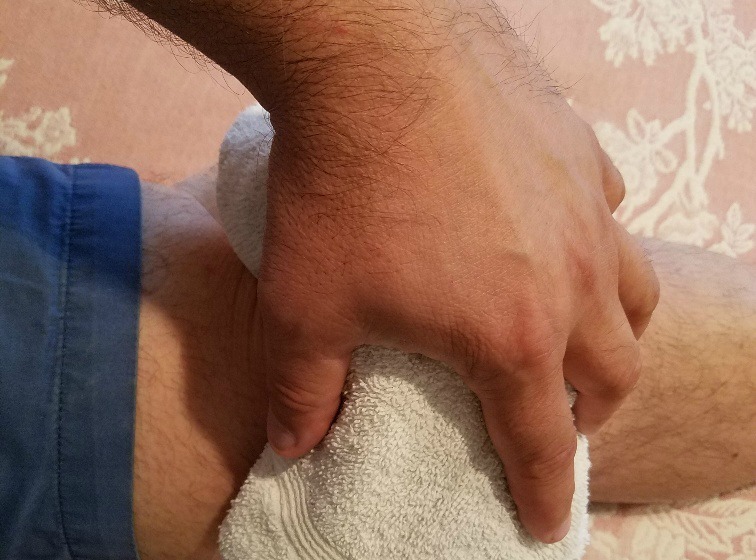 You should apply cold compresses on the affected area during the first forty eight hours after you first noticed the irritation in your knee. Do this treatment at least three times every day. The main purpose behind this practice is to reduce the swelling in the joint. Just as cold helps with knee pain, heat is also helpful in reducing discomfort. You can place a hot water bag on your knee for 10-15 minutes for at least 2-3 times a day to reduce knee aching. Turmeric Curcumin with Bioperine 1500mg. Highest Potency Available. Premium Pain Relief & Joint Support with 95% Standardized Curcuminoids. 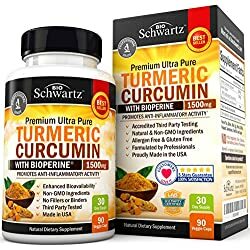 Non-GMO, Gluten Free Turmeric Capsules with Black Pepper You will be surprised to know that some of the items you have in your kitchen cabinet have some healing properties that can reduce knee pain. The common ingredients you use to cook have components that can help relieve you from your suffering. Consuming foods like flax-seeds, sesame seeds and even walnuts that are rich in calcium will help in bone health and will benefit your joints. Another common ingredient you are very familiar with is turmeric. This can be used as an antiseptic. When you mix turmeric with warm milk, the mixture formed can be used to facilitate the healing process of your knee joint. If your aching is caused by the season change, i.e. winter, then you can get fenugreek seeds, soak them overnight and consume the grains to relieve your pain. Physical exercise is the best natural remedy to get rid of knee pain. It offers support to joints and strengthens your muscles. Remember to start and end your exercise with a good stretch. Many times weight gain can cause knee pain because it stresses on the joints. Keep a healthy weight by adopting healthy diet that includes lots of fiber and vegetables. Drinks plenty of water between meals. Exercise daily to burn calories and maintain a healthy weight. 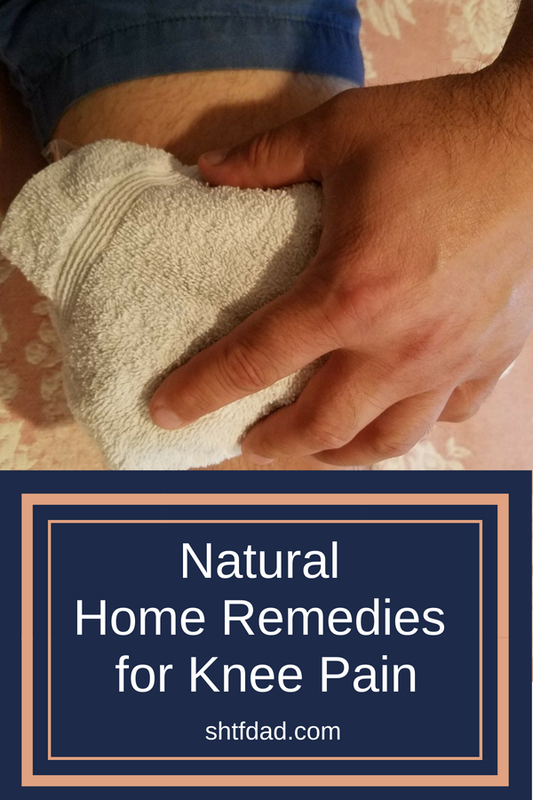 As you can see, not every pain requires a doctor appointment: first try one of these natural home remedies for knee pain. But if your pain persists, seek medical attention, rather than wait until you damage it worse. Andrew Thompson is a nutritionist and is an expert in using natural remedies for treatment for different medical conditions at Shankara.com. He also gives workshops on how to make simple home remedies on treating body pains and giving messages that will reduce knee pain.